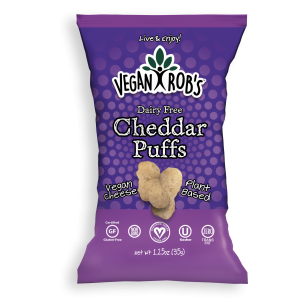 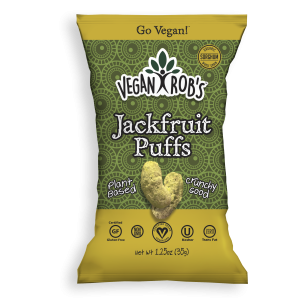 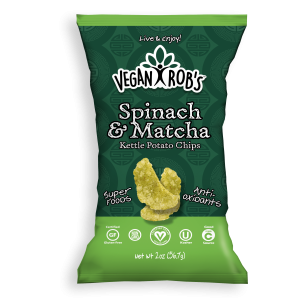 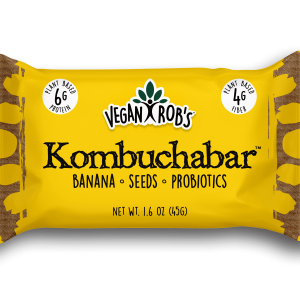 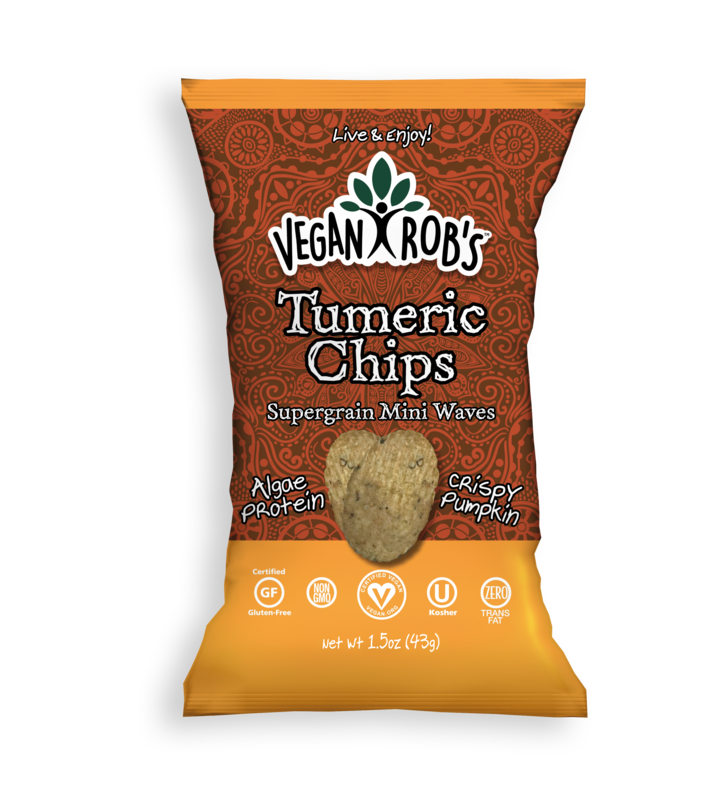 The perfect snack sanctuary awaits you as you mediate on the healing powers and great taste of Vegan Rob’s Turmeric Chips. 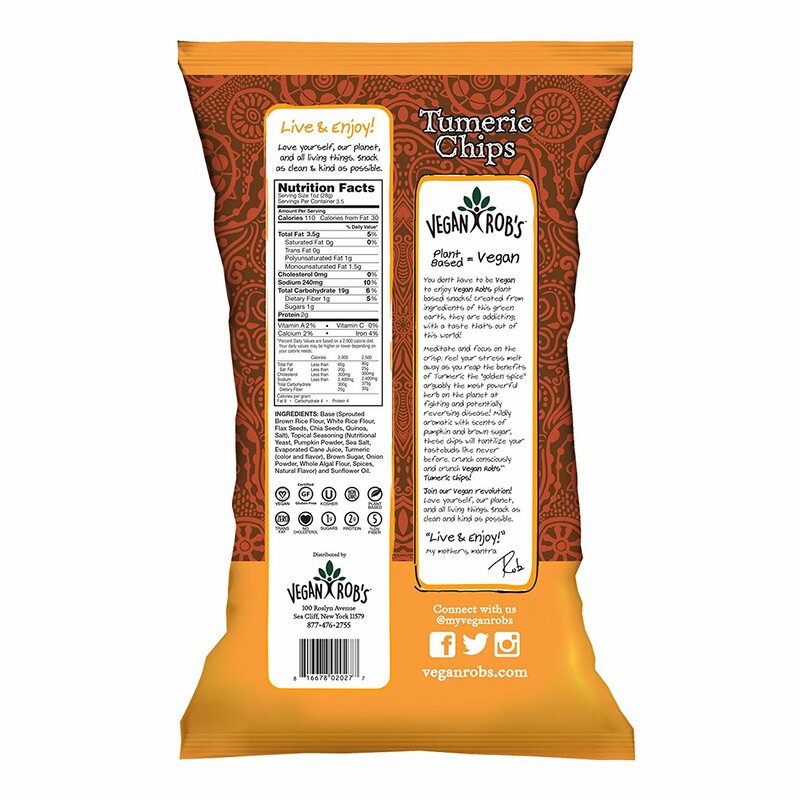 A perfect pairing of crispy pumpkin and turmeric. Ingredients: Base (Sprouted Brown Rice Flour, White Rice Flour, Flax Seeds, Chia seeds, Quinoa, Salt), Tropical Seasoning (Nutritional Yeast, Pumpkin Powder, Sea Salt, Evaporated Cane Juice, Turmeric (color and flavor), Brown Sugar, Onion Powder, Whole Algal Flour, Spices, Natural Flavor) and Sunflower Oil.